If you have a home you probably know that finding a qualified contractor that you can rely on is no easy task. Finding a professional tree service can be even more difficult since the average person does not have much background in tree care. If you have ever found yourself in this predicament these five tips will help guide you through the process and ensure a pleasant experience for you and a great outcome for your trees. 1. Do your homework before you start. Trees care is best thought of as a long term activity with small adjustments made along the way. Trees can provide great benefits but they can also be hazardous to your safety. 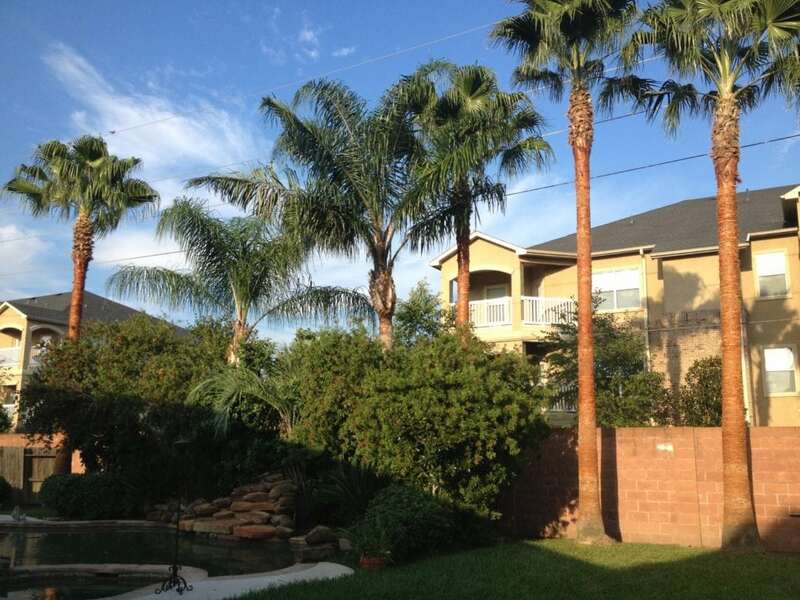 Most home owners associations have rules regarding public and private trees within neighborhood. Unless you have an tree emergency taking the time to learn a little about your trees will pay off in the long run. If you are in a hurry you can skip to step 2. An arborist can give you all the information you need but without doing your own research it may be a good idea to contact more than one arborist to give you a more rounded understanding of your trees. Learning about your trees before you call a tree service will give you more time to consider all the aspects involved with tree care and to ask better questions once you do contact a professional. There are several good resources online to help you learn about your trees. 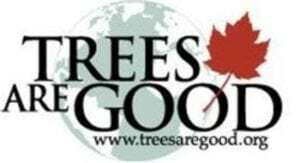 www.treesaregood.org – This is a website devoted to helping people learn about their trees and their benefits. Trees and lawns are not the same! Don't make the common mistake of assuming your lawn guy can properly care for your trees. Learning to provide professional tree care requires a significant investment from the tree service company and its employees. To gain the knowledge and experience needed to properly care it takes several years of training combined with on the job learning under the supervision of a certified arborist. In addition to the cost of training their are additional requirements such as increased insurance and equipment costs. Because of the large investment involved in becoming a professional tree service most companies do not want to take risks by operating outside of their core competency. Just because someone has a wrench and says they are a mechanic doesn’t mean they are competent to take care of your $30,000+ dollar car does it? Then why would you let a yard guy with a chainsaw try to prune your trees which often have a value many times greater than your car? Read more about tree appraisal. If a tree service you are considering can also provide you an estimate to mow your lawn, power wash your driveway and repair your fence you should be weary about letting them work on your trees! Many of the small “multi-service” contractors do not have the training, equipment or proper insurance to provide quality tree service while protecting you and your property. These are just a few but you get the idea. If someone who wants to do everything most likely is not good at anything. Also, It’s very costly to obtain proper insurance coverage for all these unrelated services. This should be a huge red flag. You could be putting yourself at a huge risk by having unskilled and uninsured people on your property! (See step 4). Membership in industry organizations is a good sign that a tree service is interested in improving their level of quality and safety. 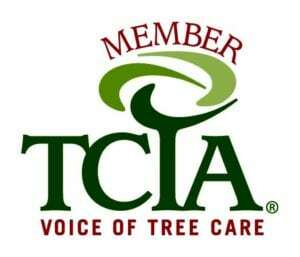 You should take time to look into the TCIA and what they do for tree care providers. You may also find a few good questions to ask in your tree service interview (Step 3). Tree Care Industry Association is the primary organization for helping tree services learn and implement industry safety standards. They offer training to tree care companies and provide several certifications to help them improve the safety and quality of their work. 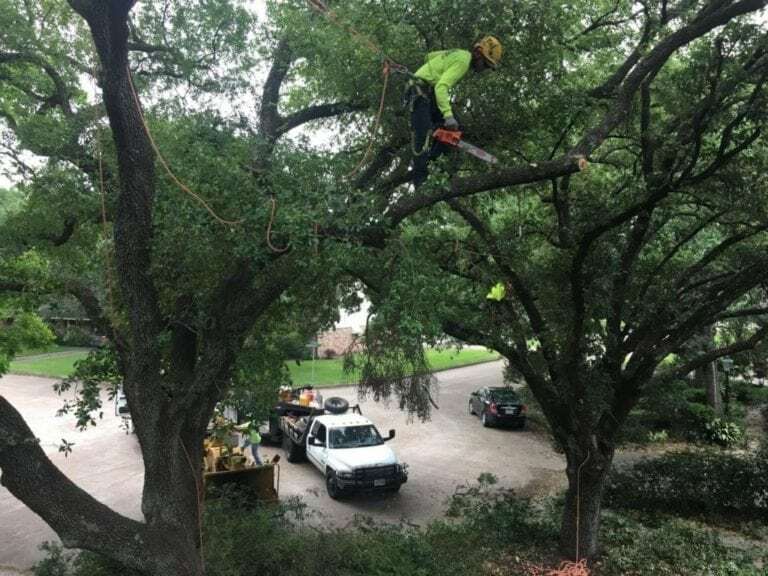 Being a member of the TCIA doesn’t guarantee that a tree service company is operating safely but it is an indication that they are heading in the right direction. The TCIA website is a good place for consumers to get an inside look at tree insdustry safety standards and training programs. 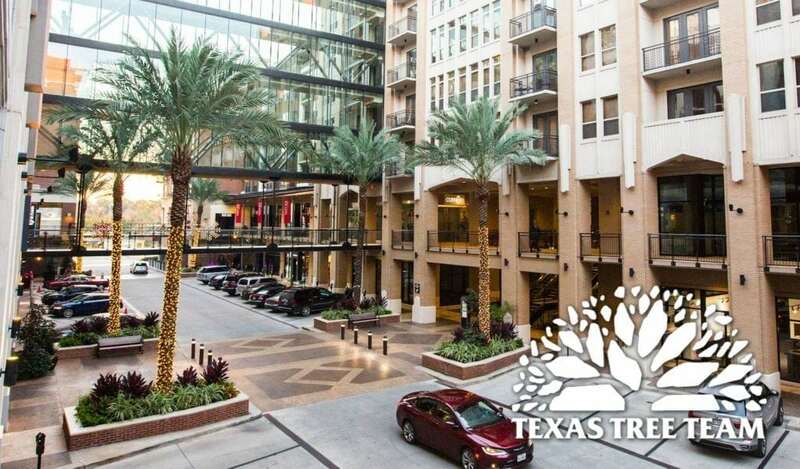 Certified Treecare Safety Professional is a credential program of the TCIA. This certifications primary focus is training of safety professionals so they can implement…. 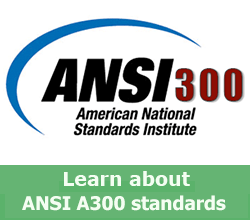 ANSI A300 and Z133: Safety and Quality Standards for Tree Service Companies: What they're all about! The American National Standards Institute issues standards for tree care operations. Currently the ANSI Z133 covers all aspects of tree care safety. Protocols and procedures for tree care operations (such as how to properly prune a tree ) are covered in the ANSI A300. Want to know what your tree service should know about your trees? Check out the ANSI standards for tree care operations here. 2. Develop a long term plan for your trees with the help of a certified arborist. Neighborhoods and the houses within them tend to change every few decades. Within the typical lifespan of a tree a neighborhood may undergo two or even three major changes as development occurs around a city. Houses can be rebuilt, and landscaping can be redone however trees do not always fair well with these types of changes. Whether you are the owner of young trees in a newly built subdivision or you are living around mature trees having a long term plan is recommended. A certified arborist or registered consulting arborist can assist you in creating a plan for the long term care of your trees. Having a tree care plan will enable you to make more informed choices, create a tree care budget and in many cases lower your overall cost of owning trees. Planning for long term tree care is one of those things in life where a small amount of money and a little bit of time will serve you for the rest of your life. Take a look at the websites below for more information on locating an arborist in your area. You will be glad you did. www.isa-arbor.org – This is the main site for the International Society of Arboriculture (ISA). The ISA is responsible for much of the training that certified arborists undergo and for keeping up with credentials. You can verify if a tree care professional is certified with their find an arborist tool. http://www.asca-consultants.org/ – The American Society of Consulting Arborists (ASCA) is the organizatoin that is responsible for training and certifing Registered Consulting Arborists (RCA). RCA’s primary focus is in the forensic process and reporting of tree related matters. They are the best type of professional to contact if you need an expert witness, investigation or reporting done for a legal matter involving trees. Species and age of each tree on your property. Approximate lifespan of each tree based on averages from the region. Typical issues, insect pests and maintenance needs of each tree species in general. Current condition or health of each tree with special notes of areas to keep an eye on. Soil nutrient analysis and potential fertilization needs of each tree. Watering needs for each tree noting any potential conflicts with other landscaping and natural drainage on your property. (Too much or too little water can lead to problems. Expected growth rate of each tree's canopy and root system with special attention to areas where trees will grow near structures or overhang the street. Take note of the location of underground utilities, irrigation lines, landscape lighting and lines to gas appliances such as lanterns. This information will come in handy should you ever need to dig within your tree's root zone. A basic plan for pruning that includes how often your trees need pruning, in what areas and why. Don't be afraid to ask your arborist questions. The reason you are paying a consultant is to get reliable advice from an unbiased professional. Following your consultation with an arborist you should feel that you have a basic understanding of your trees condition, what their needs are and how they will interact with other parts of your property over time. You should be able to describe when your trees need pruning and how it should be performed. You should know the difference between a correct pruning cut and one that is harmful to your trees. During your arborist consultation look at the trees on your street. You should find some good examples to compare and contrast good tree care practices versus the work of someone without training. If you find that you aren’t clear on everything don’t be afraid to ask questions. I can personally attest that good arborists love to talk about trees! 3. Interview qualified tree services in your area. At this point you should feel much more comfortable with terminology and methods used in the tree service industry and be able to competently interview a few tree services in your area. 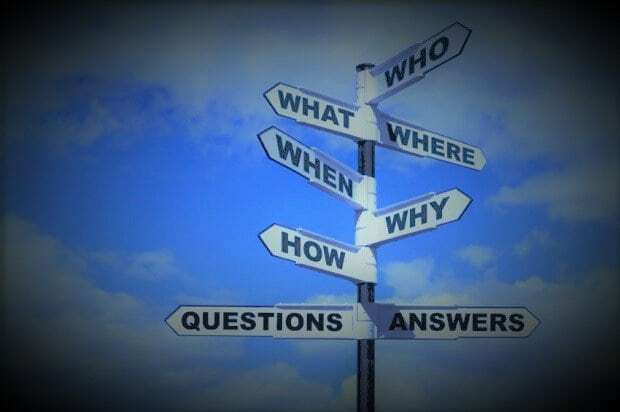 The learning your have done will enable you to ask good questions and more easily sort good candidates from bad. I strongly recommend that you only consider a tree service if they have at least one certified arborist on staff to train the crew members and make sure work is being performed up to standard. Also, now that you are able to discern tree care right from wrong you can let your natural intuition will be your guide. Most of the certified arborists in your area already work with a tree service company. They may be able to give you an estimate for performing the recommended tree care services as part of your consultation. 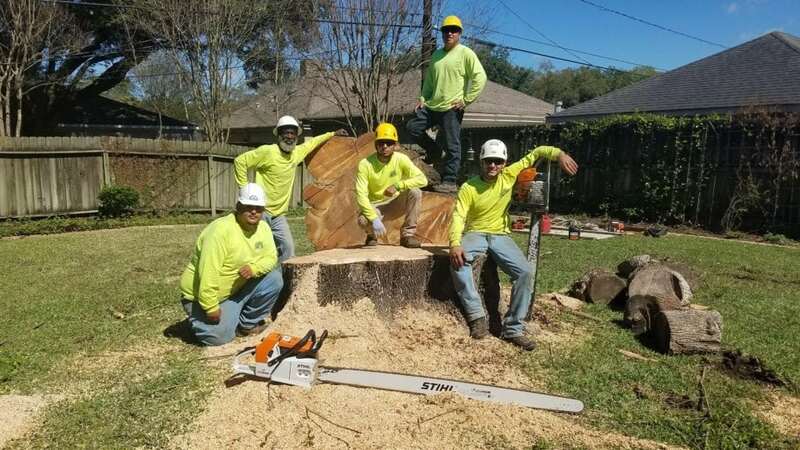 If you have worked with other tree services in the past and feel comfortable moving forward you can rest assured knowing that your time and effort has paid off. It is never a bad idea to interview multiple tree service companies to see how they may differ in expertise, service and price. Tree Service Interview Checklist - What are the best questions to ask when shopping for a tree service. If you have done your homework you may already have a list of questions ready for interviewing tree services in your area. We have compiled a sample list of questions to help you get started evaluating each tree service company’s strengths and weaknesses in terms of what’s most important to you. By asking informed questions it will become more apparent which companies are able to provide top quality tree care at a fair price. Some of the questions below are straightforward while others are a bit more complicated with multiple correct answers. The intent is to provide good talking points with answers in enough detail that you can get a feel for each tree service. I am often told by homeowners that they get conflicting answers to their questions and end up more confused than when they started. Any professional tree service representative should be able to answer all of your questions in a way that you can fully understand. Remember, a person does not fully understand a concept until they can teach it to others. What tree industry certifications does your company hold? Do you have a formal safety training program or safety certification? How does the tree crew that comes to my property know what to do? Is everything that we discuss during the estimate appointment provided in writing? What happens if I have a question during the job? Will there be someone on site who can help? Will I have an opportunity to check over the work before the crew is finished? How do you prevent tearing of bark when making pruning cuts? What percentage of living tissue do you recommend removing from my tree? Do your climbers use spikes for stability when pruning trees? Is topping a good way to keep my trees manageable? Can you thin my trees to let light through to my grass? Will this hurt my trees health? Are there any alternatives? What about co-dominant stems , do you prune them or leave them? How can my tree be pruned to prevent damage during hurricanes? Do you sterilize your saws between trees to prevent spread of disease? What is the best time to prune my trees and why? 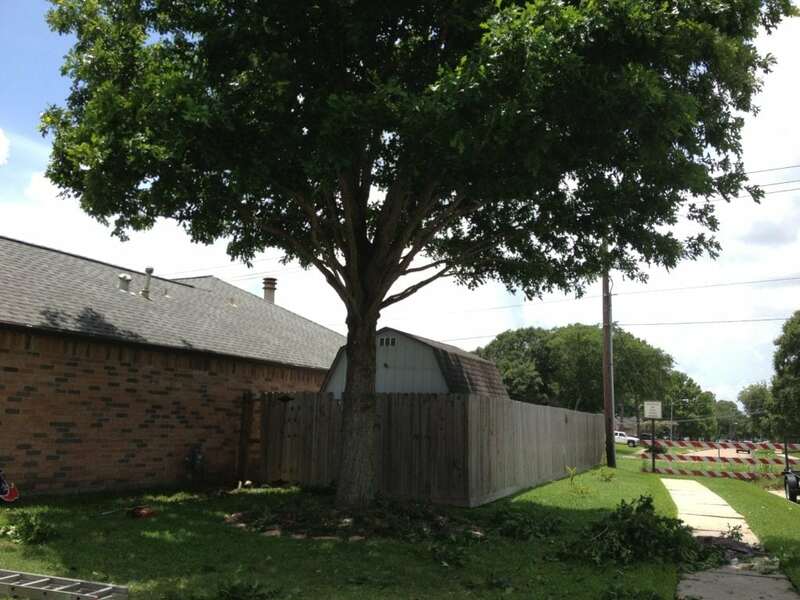 What is the process for removing a tree safely? How do you ensure that underground lines are not damaged? Do you include repair of any damages from tree removal? How do you rig the branches and sections of trunk down? Do you rig the entire tree or just some parts? Do you repair any divots or holes in the turf ? What depth do you grind stumps to? How does the depth affect cost and my future plans for the site? How do you avoid damage to underground utilities, sprinkler lines etc? Do you repair or cover damage to underground lines if damaged? How close can you grind to my other tree roots without causing damage? 4. Last but not least. Verify insurance coverage. What types of insurance are required for tree service companies? What it covers: property damage that may occur as a result of a company working on your property. It will also cover damage to other properties and is not limited to your property so you won’t have to worry about potential liability from damage to your neighbors properties etc. Recommended Policy Limits: The standard general liability policy covers 1 Million per incident. Some companies that work at commercial facilities may have more coverage but you should look for at least the standard 1 million dollar coverage. Remember that this coverage could extend to cover multiple properties in the event that a tree falls across property lines etc. What it covers: Employees of the company in the event that they are injured on the job. Recommended Policy Limits: The standard workman’s comp policy covers 1 million per incident. Workman’s compensation is one of the most widely overlooked types of insurance by homeowners. Lack of awareness regarding insurance and liability lead many homeowners into a trap of liability. It’s logical to be concerned about damage to your property so everyone tends to want insurance coverage to cover their property in event of and accident. What many consumers do not realize is that the cost of repairing a home is often far less than even the smallest of medical expenses. In fact, if you hire someone to work at your home and they are injured on your property in any way then that person has legal rights to medical care. If the person works for a company then their employer is responsible for their medical expenses and loss of wages. What most people do not know is that they are also potentially at risk of being responsible for the injured workers medical expenses if the company does not carry workman’s compensation insurance. Even small injuries can grow into very large medical expenses and workman’s compensation is there to protect everyone and ensure that they are taken care of and you and the company are protected from any liability. The situation can be much worse if you are hiring a person who is self employed and they become injured while working on your property. In this situation, the law views you as the direct employer and you are on the hook for any medical expenses that arise as a result of the injury. Once most people realize the true cost of not hiring a tree service without workman’s compensation insurance coverage it becomes an easy decision to only hire companies who play by the rules. Navigating the world of commercial insurance can be quite complex and this guide is intended to provide a general understanding of what you should look for when hiring a tree service. To get more information about commercial insurance for tree services please read our article: What types of insurance should a tree service carry? Now it’s time to gather all of your notes and take a hard look at the strengths of each tree service you interviewed. Everyone wants to get a good price but I recommend that you not put price at the very top of your evaluation criteria. Look at reviews and references from each company. Consider the overall experience you have had with each tree service so far as it is a good indication of how things will go in the future. Details like schedule flexibility may be beneficial if you can get work done around your schedule and avoid taking a day off work. One company may already be the clear winner but if you have narrowed the contest down to only two companies price can be the final determining factor. It may feel like a long journey just to get your trees trimmed but your efforts will pay off. The time you have taken to do research and interview tree services will provide you and your trees with benefits forever. Also, the advice I have given generally applies to all other services and contractors that you may need to hire for help around your property. With better information you can make sound decisions and rest easy knowing that you will get a job well done. Glen is an ISA Board Certified Master Arborist who also holds the ISA Tree Risk Assessment Qualification (TRAQ) and the TCIA Certified Tree Care Safety Professional (CTSP) credentials. As a member of the American Society of Consulting Arborists (ASCA) Glen consults on over 500 cases per year ranging from tree appraisal and risk evaluation to tree health assessment and pre-construction planning. I have four old cherry trees in the back of my yard that have all been sickly and dying for the past year and I think it’s time to have them removed. They’re somewhat on the larger side for cherry trees, so getting a professional that can remove them safely will be very important, so I really appreciate your tip to look for people that are part of an industry organization, and I’ll definitely check out the TCIA website for what safety standards they adhere to. Interviewing the arborists in my area is definitely on my list, as well, and I’ll be sure to take your questions with me, especially the one about getting everything in the estimate in writing. This was a excellent informative post you have shared on this page about a tree service will bring with them all of the equipment needed to safely tackle the job, which includes various types of chainsaws, winches, harnesses and a wide array of safety equipment. For you to have all this equipment yourself would be extremely expensive not to mention taking up an awful lot of space within your home.